Last month we went over some of the best available apps for tweaking and editing your camera shots, all of which are solid choices for cleaning up your pictures before sharing them with the world. However, sometimes it’s better to line up the perfectly filtered shot to save yourself the hassle of editing things after the fact, and that’s where this guide comes in. There are plenty of apps in the Play Store that function as feature-packed or unique cameras, allowing you to do things that your stock camera application may not do. We’re going to go over some of the best available camera replacement applications to help you get the most out of shooting your photos. Google Camera is exactly what you’d expect; camera software directly from Google. 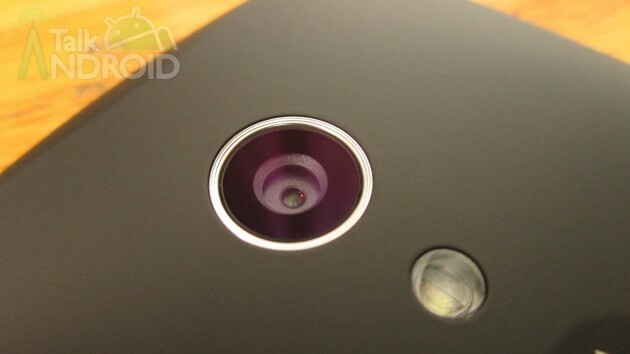 It offers an untouched take on Android’s camera interface, so you won’t get any OEM tweaks or additions. Some manufacturers do a better job than others when it comes to adding their own spin on how you take photos, which may or may not get the job done well depending on the phone. Google’s basic camera app has one of the easiest interfaces you can imagine for a camera, which can be a good or a bad thing. 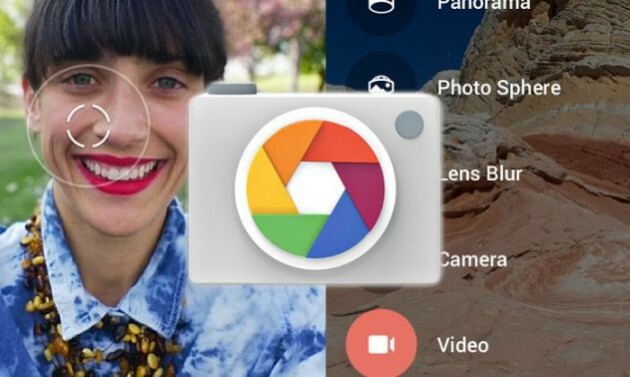 If you’re looking for a quick way to jump into tons and tons of settings, you probably won’t be happy with Google’s minimalistic camera, but if you need something quick and simple to use, this is one of the best apps you’ll find. Taking pictures is painless, and you’ll get most of the standard features you’d expect from flagship cameras today, including the ability to take still shots during videos, a lens blur effect, an HDR mode, and seamless integration with Android Wear. Plus, Google Camera gives you access to Photo Sphere, 360-degree panoramic shots of your surroundings. The photo stitching tech also works very well for normal panoramic shots and wide angle pictures. Really, the only drawback to Google Camera is the high-level APIs needed for the app. It will only work on phones or tablets running Android 4.4 KitKat and above, which should cover a good chunk of devices, but not everything. If you make the cut, though, the app is free and definitely worth checking out. Camera MX is a fantastic app that brings a ton of features you won’t find in other stock camera software. Not only does it give you an easy way to apply live filters to whatever you’re photographing, but it offers a handful of other unique twists on capturing a shot that are hard to beat. The interface of Camera MX is simplistic and shouldn’t be hard to adapt to for anyone that’s using it. That’s always a plus when looking into a new app. There are tons of shooting options that you’d expect from any capable camera, including HDR modes, tons of filters and textures, and a few cool tricks like a kaleidoscope filter and a mirror mode. The image processing in the software also works extremely well, resulting in extremely high quality photos. The processing may not help as much if you’re already using a flagship device with a great camera, but on mid-range and low-end devices, it can make a noticeable difference. Aside from live photo editing, Camera MX also tackles the issue of editing and managing your photos. The app features a full image editing suite for tweaking your shots after the fact, and the file manager allows you to easily move, sort, and delete your pictures and videos. Definitely useful if you’re trying to consolidate multiple apps into one. One of the best features of Camera MX is the “Shoot the Past” mode. This feature actually lets you snap those hard-to-catch photos by letting you zip back through the action to a few seconds prior to when you actually pressed the shutter button. Action shots, moving babies, and anything that involves a subject that just won’t stay still are much, much easier to capture in this mode, and that alone makes the app worth trying out. 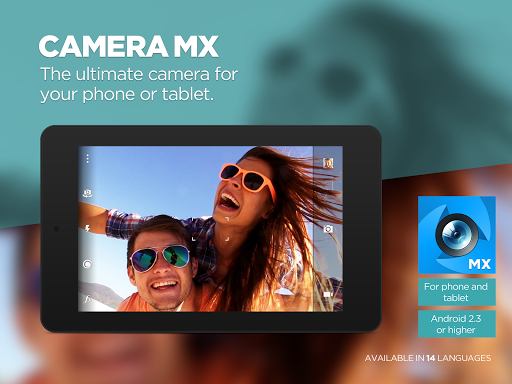 Camera MX is completely free and is one of the comprehensive photography packages you’ll find on Android. With unique features, excellent editing tools, and a file manager all bundled into one, it’s one of the better apps on this list for broad use. Retrica takes a much more focused approach to your photos and that might just do the trick if you enjoy taking certain stylized shots. It won’t make a general-use camera replacement, but Retrica’s filters and effects make great stand-out photos that are especially appealing if you post tons of photos to social media. Retrica offers over 100 filters that are applied to your camera in real-time, beating out what you’ll get on the likes of Instagram and even most photo editing apps. Not only are filters abundant in Retrica, but there are also several other photo effects you can add, including vignette borders, focus blurs, and a photobooth-like collage mode. You can also tweak timers and time intervals, and there’s an option to slap a Retrica watermark on your photos if you want everyone to know what app you’re using when you share your images. 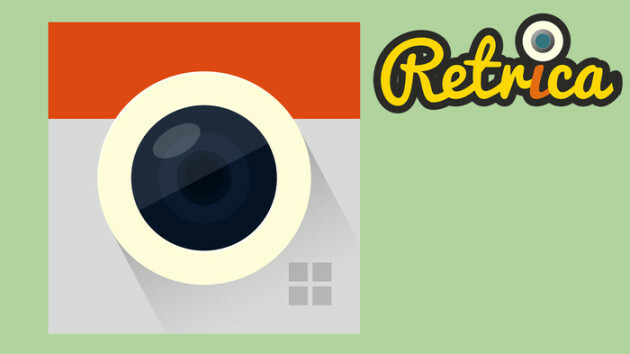 Speaking of sharing photos, Retrica has many options for sharing things to different social media sites built right in. An app like this is definitely designed for heavy social media users, so the inclusion makes perfect sense. If you need something to quickly apply filters and effects while you’re shooting, and you tend to keep most of your photos uploaded to social media, anyway, Retrica should definitely be on your list to check out. It may not be able to replace your camera if you’re trying to take professional-quality shots, but if look no further if effects are your thing. Panorama 360 tries its hand at mimicking one of the best features of Google’s stock camera software, with a few extra twists. As the name implies, the app allows you to snap full 360 degree panoramic shots, which are similar to Google’s own Photo Sphere. There are a few differences between a full 360 degree panorama and Photo Sphere, but both are cool in their own way. To get started with Panorama 360, you simply start shooting then turn your camera around yourself slowly. The app handles all of the stitching and presents you with a full panoramic shot of your surroundings within a minute, no extra input required. If you like wide angle shots, you’ll definitely enjoy playing around with this app. You can view your shots as a 3D moving image or as a flattened panoramic shot. This gives you the best of both worlds, allowing you to interact with the file on your phone, but still giving you the option to share the shot to Facebook or other social media sites. The app also caters to social media and thrives on the social and sharing aspect of photos, giving you the option to share to a few different sites. You can also view any panoramic shots that have been taken near you, and the app will geo-tag your pictures for others to view. This is also a pretty cool feature since there’s an option to track everywhere you’ve taken a photo, which is fun if you like to travel often and your phone is your primary camera. These features can, of course, be turned off if you don’t want to share that kind of info. The app is completely free and offers a pretty unique way to start shooting photos. If you’ve been itching to take Photo Sphere pictures but you don’t have a phone that will support Google’s own implementation, give Panorama 360 a spin. The pun is very much intended. Paper Camera is a unique app that gained a bit of traction from teaming up with Samsung. The app was pre-installed on a few Samsung phones at one point and received exposure through that partnership. Now, on its own, Paper Camera still offers a very cool way to take some unique photos. 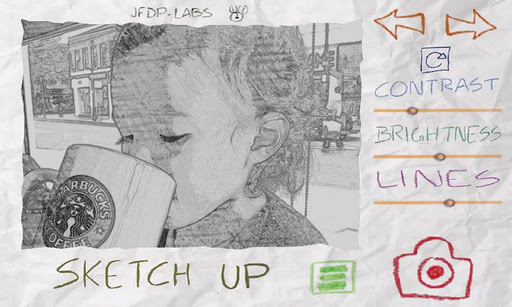 As the name implies, Paper Camera applies real-time filters to your camera that simulate a drawing or sketching of whatever you’re taking a picture of. It has a wide variety of effects you can apply, making your shots look like comic books, pen and paper sketches, neon outlines, or pastel paintings. It doesn’t offer as many filters as some other cameras or photo editors, but it focuses in on the paper and hand-drawn aspect and does that exceptionally well. While taking a photo, you can tweak a few parameters to fine tune how things look, too. You’ll get a contrast slider, a brightness slider, and a lines slider that makes the applied effect stronger or weaker. All of this is done within an interface that looks like it’s been drawn inside a notebook and that’s actually pretty easy (and fun) to navigate. It also does videos, if that’s more of what you’re looking for. With a price tag of $2.99, Paper Camera might not appeal to everyone. It doesn’t throw in the kitchen sink like other apps, but if you’re a fan of sketching or hand-drawn filters, it’s the best at what it does and one of my personal favorites. These apps offer a pretty broad variety of what you’ll find available on the Play Store. There are apps to handle your everyday shots, apps to give the occasional shot its own unique look, and apps to show off some outrageous effects to your friends on social media. Did we miss any of your favorite camera replacement apps? Sound off in the comments below and let us know.